Deployed, training, or just at your favorite field playing Airsoft. Sometimes mother nature does not allow us to train with the sun shining and after all is said and done you end up smelling like a wet dog’s fart. You can keep your soiled gear secured until its cleaned in a breathable bag big enough to hold all your kit. When the rain starts to fall, or the ground is muddy. What do you do at the end of day with all of your gear and clothing? Well, 0241 Tactical has you covered. 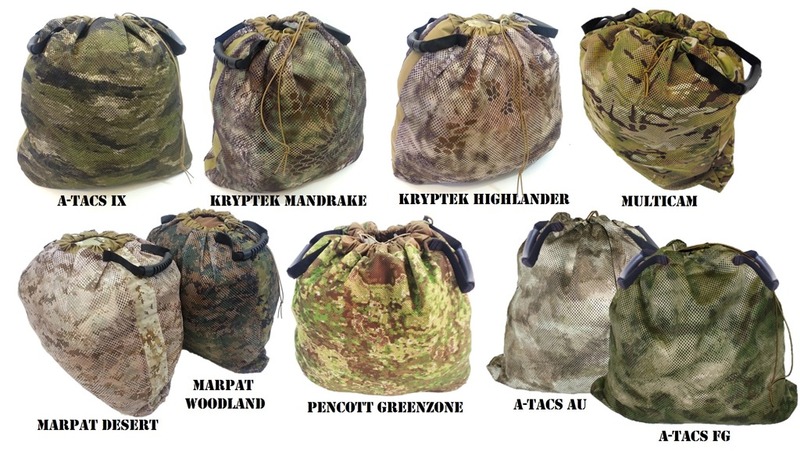 Their Wet/Dry Mesh Bag is a great addition to anyone’s gear bag. It folds up flat and gives you the ability to stuff a tone of gear in the 24 x 25 inch tall bag. With the mesh, your nasty gear is airing out as you head home or go out to eat with your best buddies and sling stories.